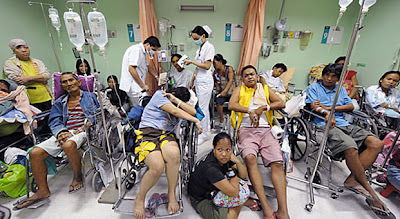 Typical scene at most government hospitals and clinics. Could be much worse, as in India and the Philippines. Yesterday I was at University Malaya Medical Centre (UMMC) with our Filipino maid. We were there to see about a small cyst on her back. It had been causing her some discomfort for the past week. She had earlier seen a specialist at a private clinic and was given some antibiotics and painkillers (panadol). The bill came to RM200+ for the brief consultation. The doctor recommended she returned for a simple surgery to remove the cyst. Estimated cost of surgery - Rm1000. We decided to seek a second opinion to compare costs, this time at a public hospital. 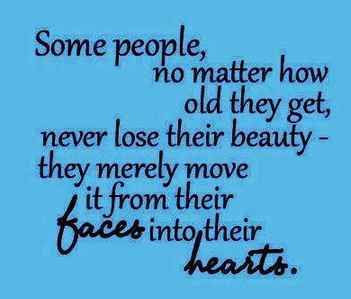 That's how I came to be at UMMC yesterday with my maid. 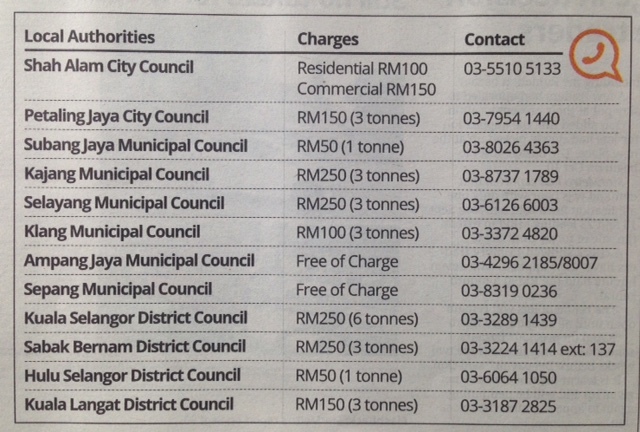 Consultation charges - Rm30, scheduled surgery - Rm80. If she were a citizen, she would pay only Rm15 and Rm40 respectively. These are numbers that warm the heart and are easy to swallow. For a list of UMMC charges, please click here. I'm not sure if these charges apply for all public hospitals. Long wait to see the doctor in a Manila hospital. Overcrowded with overworked staff. The downside of seeking treatment at a public hospital is the long hours of waiting. Yesterday we waited almost FOUR hours before our number was finally called. The waiting area was packed to capacity with scores of people standing around waiting for a vacant seat. 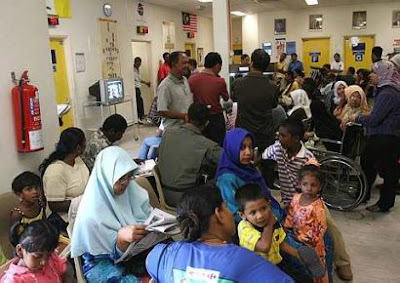 The government should be commended for keeping healthcare charges as low as possible so as not to burden the rakyat. But that's exactly why the public healthcare system is under stress. Public hospitals are overcrowded and medical staff are overworked. In view of our rapidly ageing population, this situation is likely to get worse before it can get any better. What options are available to help relieve the strain on the public healthcare system? The government can initiate a partnership with the private healthcare sector. 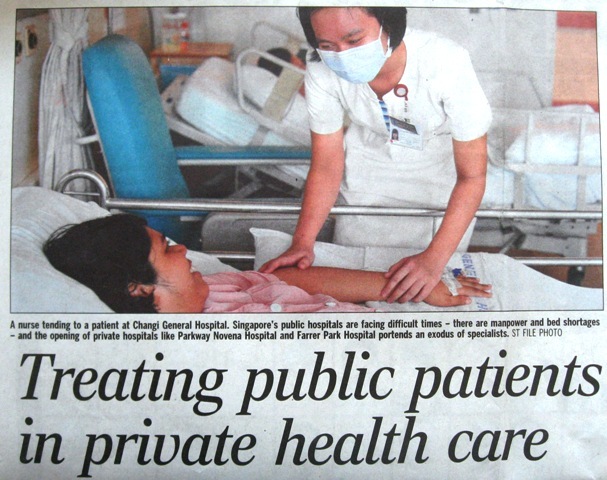 Public hospitals can refer eligible patients to private hospitals. The government will subsidize the healthcare and treatment of this category of patients at private hospitals. The finer details can be worked out. Alternatively, private hospitals can make community healthcare an integral part of their CSR programme. 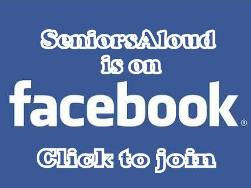 For example, they can offer substantial discounts to elderly patients who have no medical insurance. Click here to listen to a debate on the topic. In 2000 World Health Organization (WHO) did a survey of the healthcare systems in 191 countries. 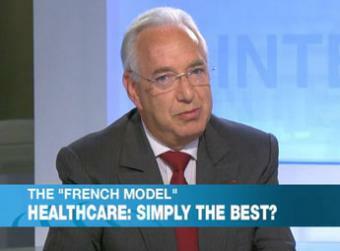 France's healthcare system was ranked top. In a follow-up survey of 19 countries in 2008, again France came out first. There is universal healthcare coverage in France. The government foots 70% of the patients' medical bills. Funding for this comes mostly from payroll and income tax. Patients can choose their doctors and hospitals. There is little waiting for medical treatment. Sounds like a system our government should look into to make healthcare available and affordable to the people. Lily, thank you for sharing. 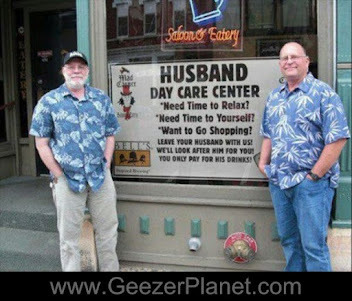 Health care is top priority when we are getting older. Adopting the French model seems to be a good idea. Perhaps with some modification to suit our country. Health care is getting expensive by the minutes! This is awesome blog. I have visited the blog for the first time and provided the enough information regarding Health care products .You have described about the difference between public and private healthcare.